Tramlines, the UK’s biggest inner-city music festival, has added a fourth wave of acts to its 2016 lineup. Amongst the new additions is Saturday night Main Stage co-headliner George Clinton and Parliament Funkadelic, plus The Enemy, Jane Weaver, Shining, Basement, Little Comets, Moon Duo, Teleman, Holy Esque, Beaty Heart and many more. 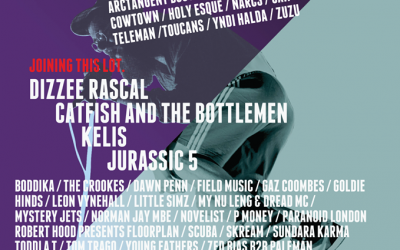 These new artists join the formerly announced Dizzee Rascal, Jurassic 5, Kelis, Catfish and the Bottlemen, Mystery Jets, Gaz Coombes, Dawn Penn, Field Music, Young Fathers and loads more for the festival’s eighth instalment. 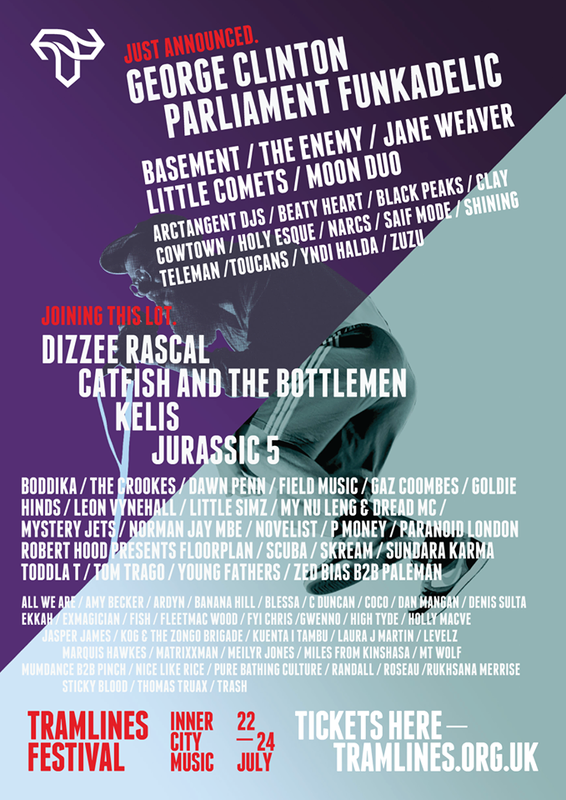 Tramlines takes place from Friday 22 July – Sunday 24 July in Sheffield, and weekend tickets are now onsale from www.tramlines.org.uk for a tidy sum of £42 (+bf). 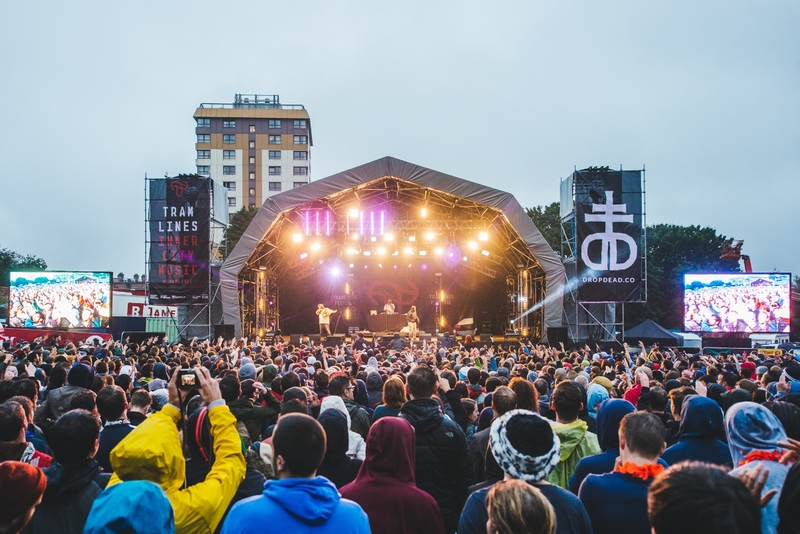 The award-winning Tramlines Festival transforms Sheffield city centre into a huge festival site, taking the reins on four outdoor spaces and 15 venues with a bill that showcases a diverse range of established names and brand-new artists, and attracting approximately 100,000 people every year. 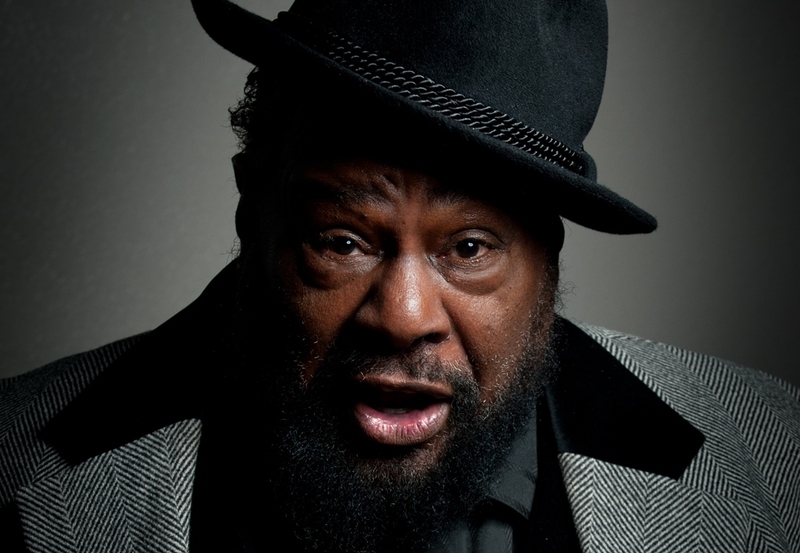 The festival’s organisers are thrilled to announce its final 2016 headliner, in the form of the highly influential and much-sampled funk icon George Clinton, who brings his Parliament Funkadelic Mothership to the Tramlines Main Stage for an unforgettable stage show featuring upwards of 20 musicians onstage. 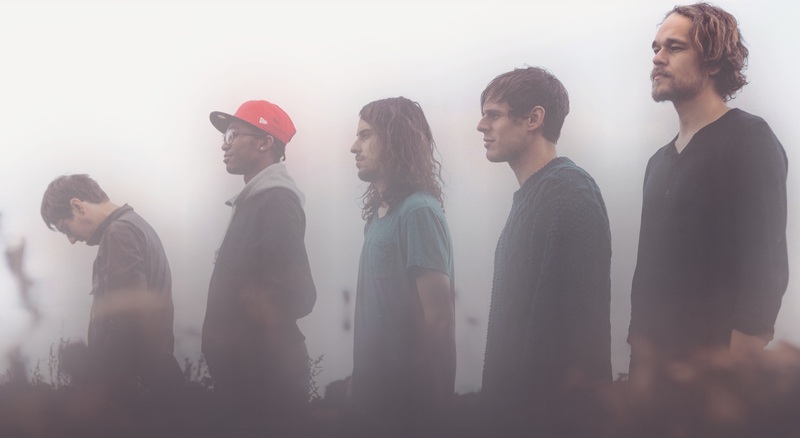 Back by popular demand for their third Tramlines are Little Comets, bringing a classic indie rock set to the Saturday Main Stage. 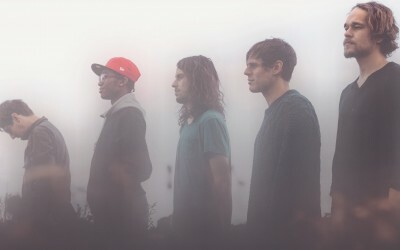 Elsewhere, indie trio The Enemy will headline the Leadmill on Friday 22 July in what will be one of their very last shows, following a recent announcement that the band will split after their autumn tour. 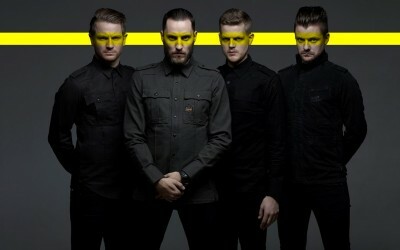 Expect a farewell set punctuated with hit singles that have sold over a million copies around the world. 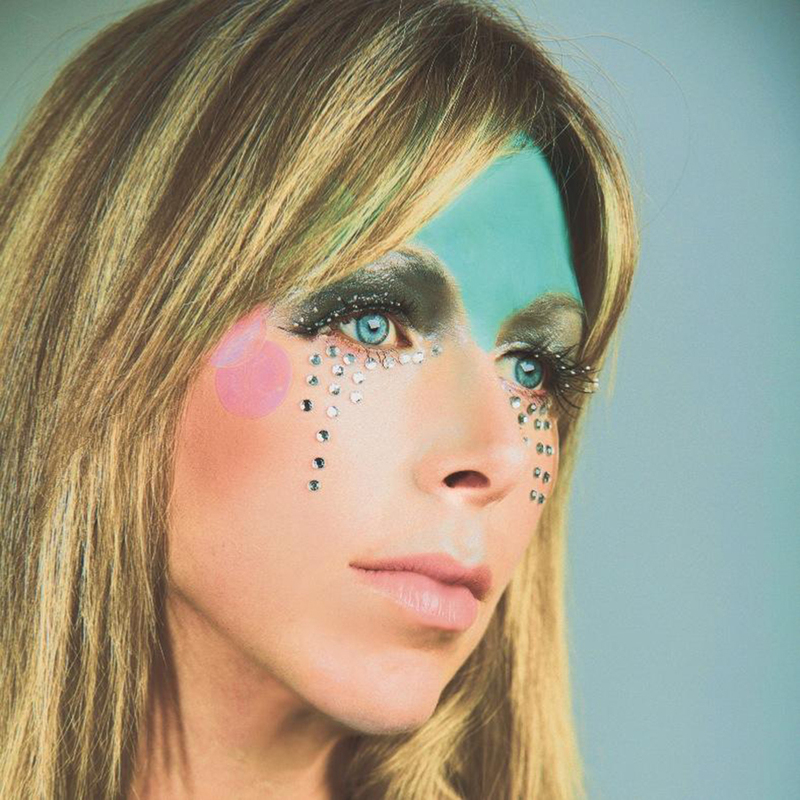 The experimental, psychedelic alt-rocker, Jane Weaver, brings her 20-year strong catalogue to the Tramlines Folk Forest, set in the beautiful Endcliffe Park. Joining her are much-feted leftfield indie-pop outfit Teleman, performing tracks from their brand new album, Brilliant Saintly. 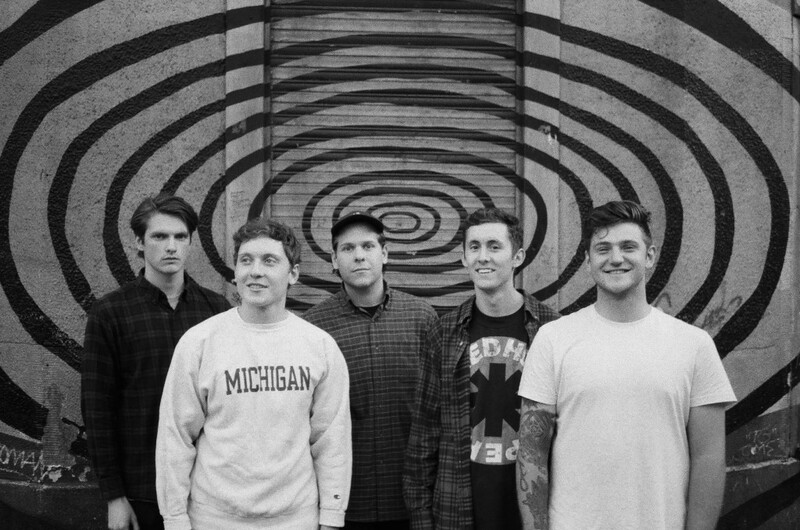 Ipswich five-piece Basement are back with a bang after a short hiatus, to headline the City Hall’s majestic Grand Ballroom venue, having also just released a new album, Promise Everything. 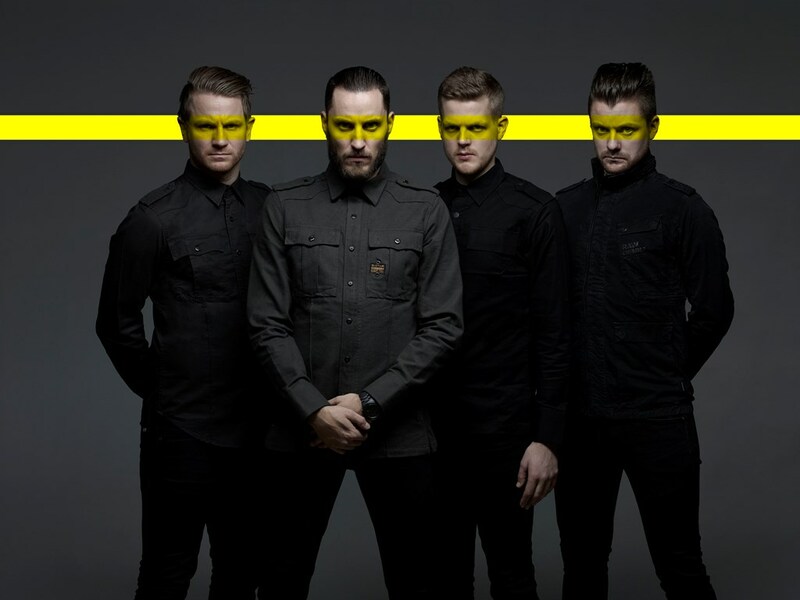 City Hall’s experimental rock lineup will also feature the debut appearance of Norwegian alt-rock group Shining, amongst others. Crossing the Atlantic to play at Tramlines in the ethereal setting of the Sheffield Cathedral is U.S. pysch outfit Moon Duo, made up of Sanae Yamada and Ripley Johnson, also of psych heroes Wooden Shjips. A bunch of breaking acts have also been added to the bill. Returning to Tramlines are psychedelic pop act Beaty Heart, Zuzu (who so impressed at Tramlines’ sister festival Outlines in February that they’ve been invited back by the team), Holy Esque (hot from appearing at SXSW), plus Yndi Halda, NARCS and Clay. Every year, Tramlines delivers a genre-defying mix of talent. By day, it’s a place to discover the best in live music spanning indie, rock, folk, pop and funk, from the increased 17,500-capacity Main Stage through to the 500-capacity Sheffield Cathedral. By night, it’s a playground for all things electronic, taking over Sheffield’s best nightclubs and warehouse spaces for a genre-busting blend of techno, drum & bass, house, grime and everything in between. Other already announced acts for the 2016 event include Toddla T, Goldie MBE, Little Simz, Norman Jay MBE, Hinds, My Nu Leng, C Duncan, Randall, Meilyr Jones, Skream, K.O.G and The Zongo Brigade, and others. 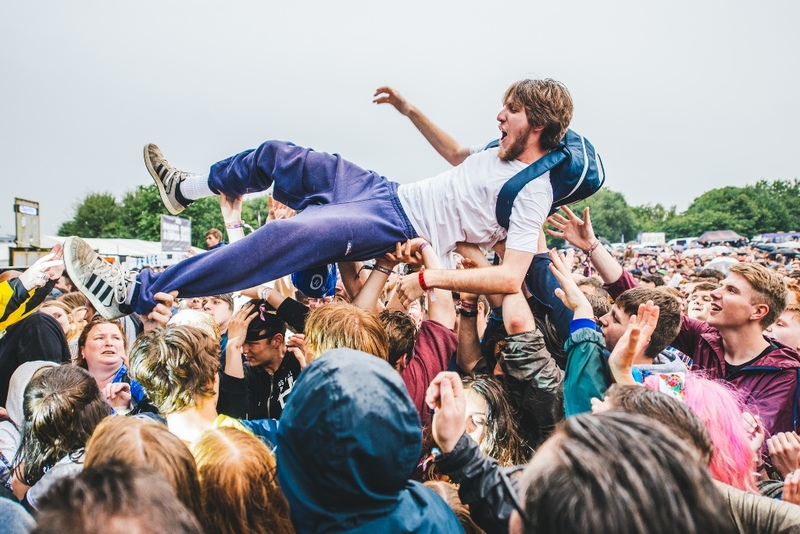 Tickets for Tramlines Festival 2016 are on sale and, as ever, remain seriously good value. A weekend ticket comes in at the bargain price of £42 +bf. To stay for the official closing parties on Sunday night, tickets are an added £5, making it one of the most competitively priced festivals around.